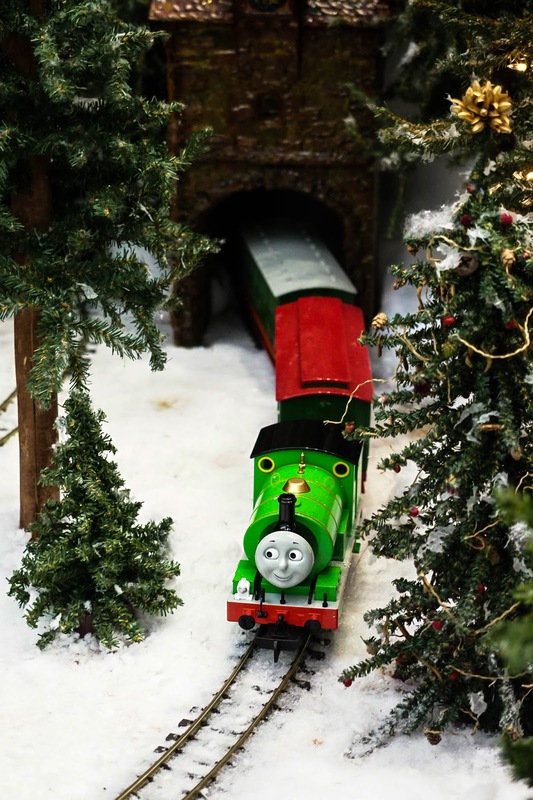 The Huntington Holiday Train has been running since 1992. 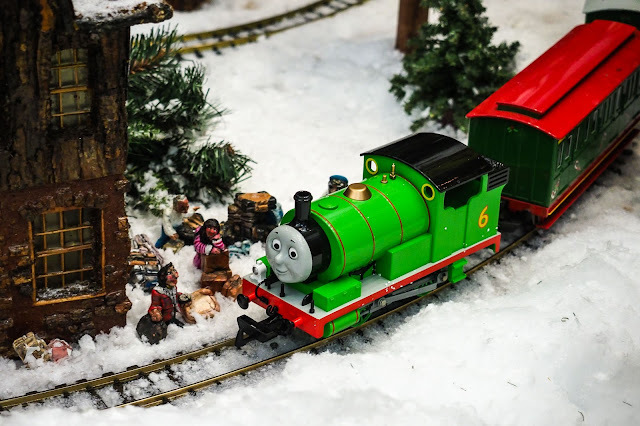 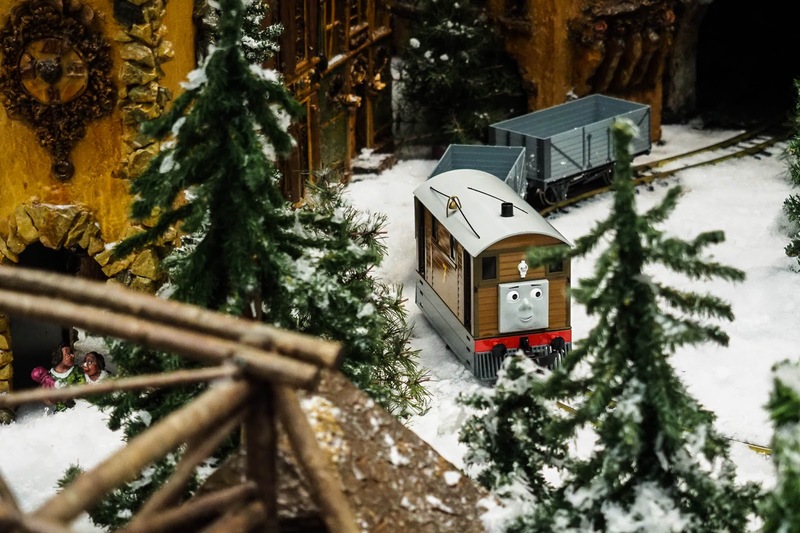 The train display is located in the main library's new atrium. 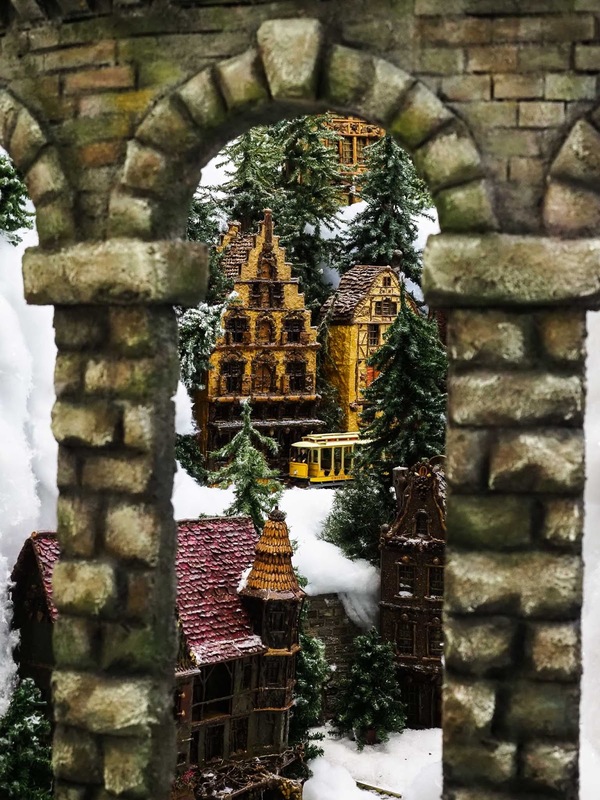 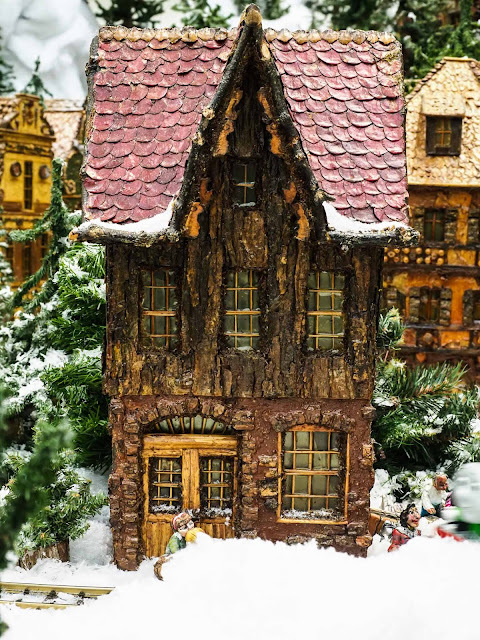 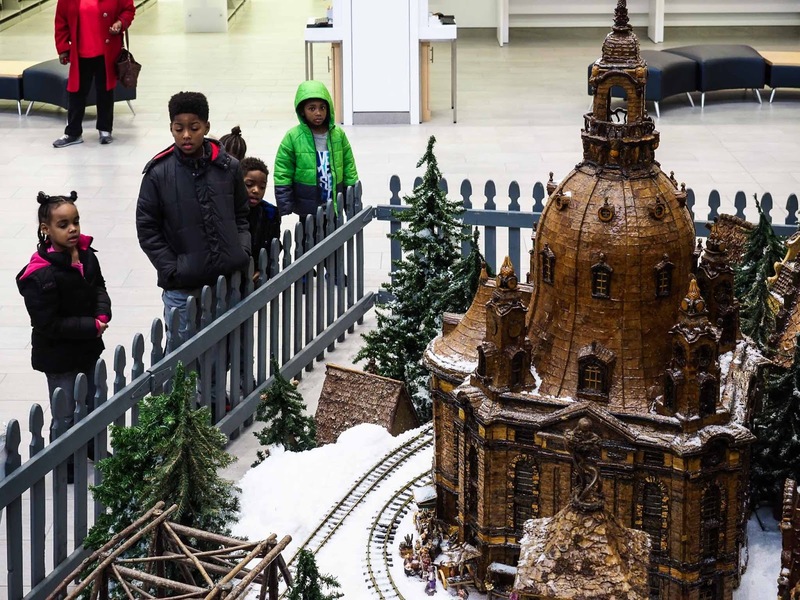 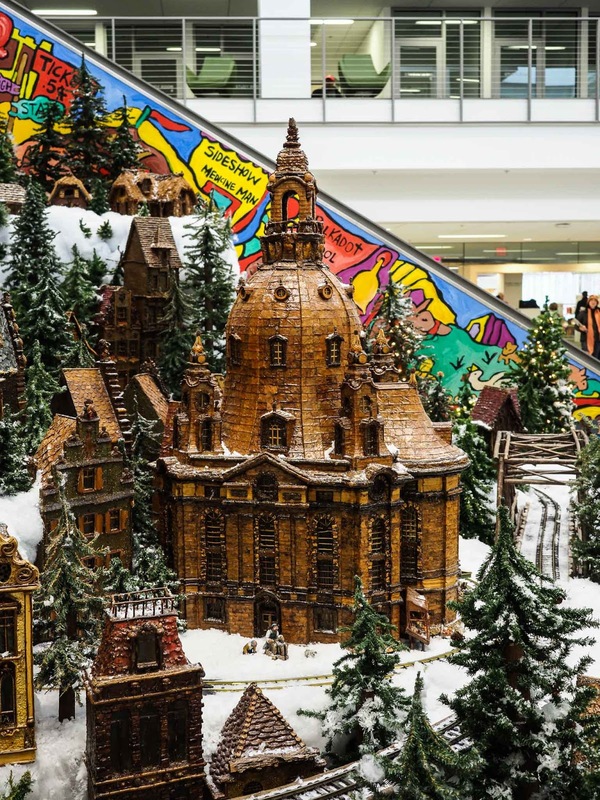 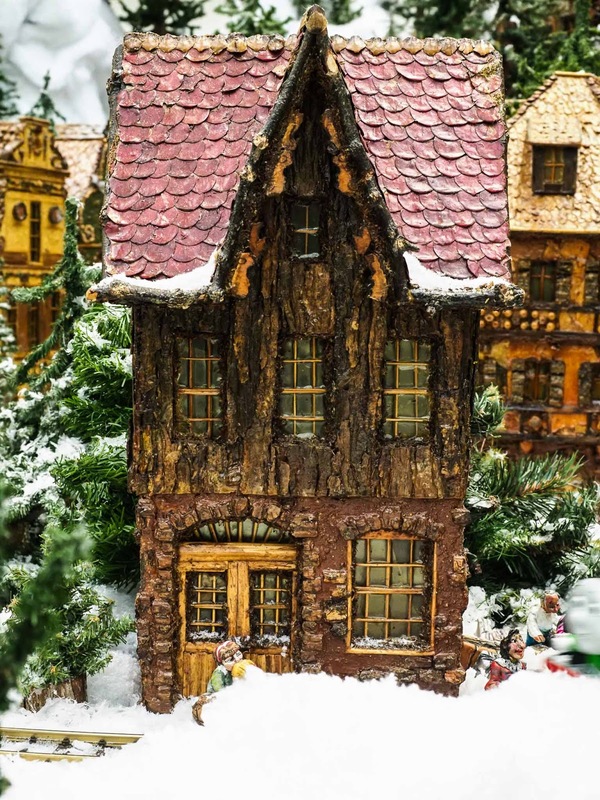 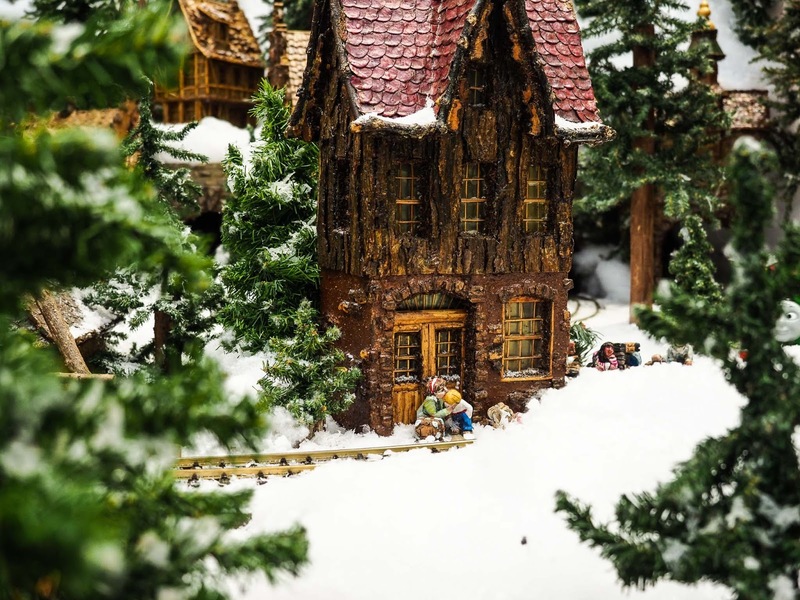 It is fashioned in a Bavarian style and features a water fall, several running trains and many diorama like scenes. 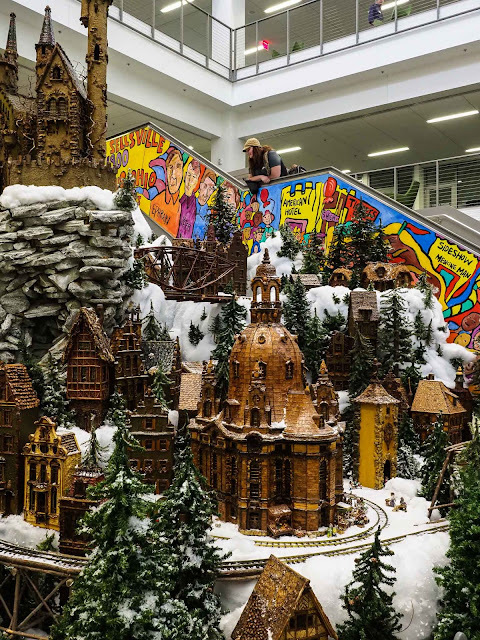 The display is visible from the ground floor and areal views are available from the staircase and mezzanine hand rail. 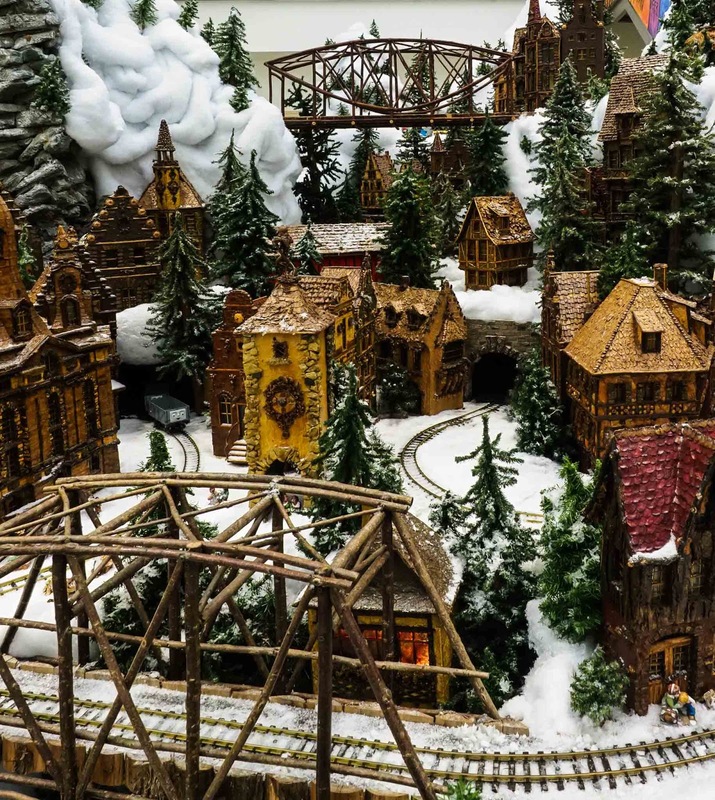 Here is a video of the display, available in 4k Ultra HD video!